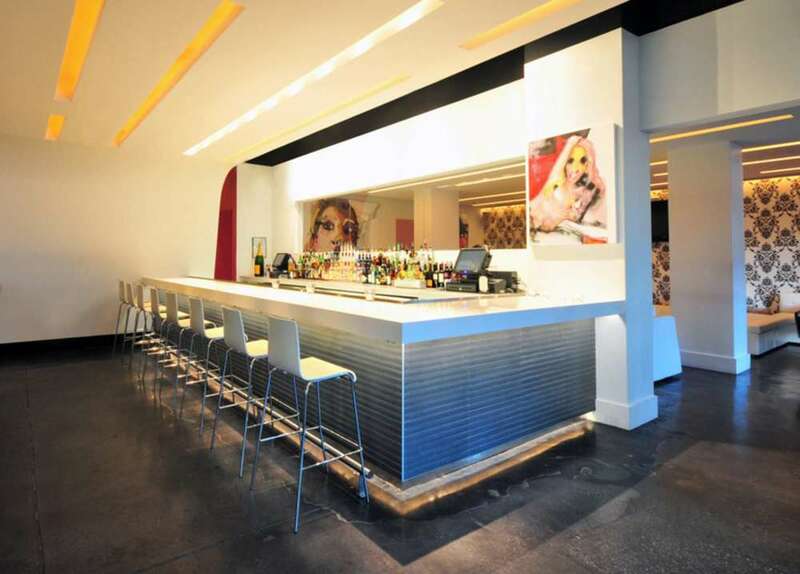 This renovation transformed an existing 2,500 SF commercial space into a contemporary, urban lounge with an upscale, South Beach style ambiance. The designers balanced rationalism and romanticism, immersing guests in a sensory experience of space, material, light, and sound. The new focal point of the lounge is a folded sculptural plane, designed to wrap over the bar/seating area. The lounge area features comfortable furniture, industrial finishes, and Victorian patterns for an artful blend that is stimulating and sociable. The abstract artwork and energetic palette clearly expresses the lounge’s dynamic compositions and geometries. Modular furniture systems provide a flexible layout which is easily reconfigured to accommodate the creative needs of any event. The lounge’s environmental video and lighting designs immerse guests in a flowing, luminescent interior landscape. The same lighting technique is utilized in the lounge area and the bar/seating area, visually connecting the two spaces. The outdoor lounge provides the guests with an additional option for entertainment. 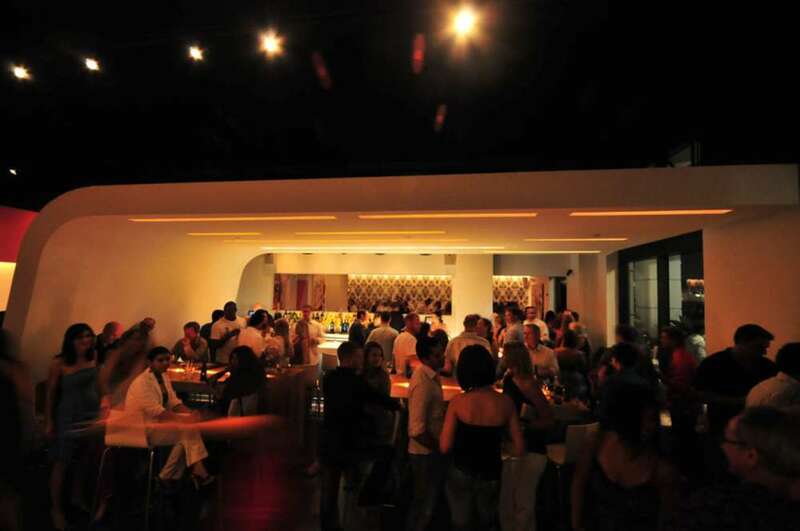 The result is an atmosphere for Sarasota’s nightlife where light, form, and ambiance merge together to provide a unique, intoxicating experience.